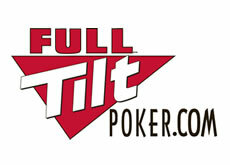 July 26th, 2011 could go down as just as memorable a date in poker lore as April 15, 2011, if the public hearing scheduled to discuss the Aldernay Gambling Control Commission’s decision to suspend the license of Full Tilt Poker on June 29th goes poorly for the beleaguered online poker site. During the public hearing both Full Tilt Poker and the AGCC are expected to present their own version of events that led to the license suspension on June 29th following a failure by Full Tilt Poker to repay their US customers in the aftermath of Black Friday. Another interested party expected to be in attendance are the as yet unnamed European investors that are interested in purchasing some, or all, –depending on which rumor you put the most faith in– of Full Tilt Poker. In addition to the AGCC’s decision to pull their license, Full Tilt Poker’s Nelson Burtnick and Ray Bitar, are still facing indictments from Black Friday, and the site is still on the hook for their portion of the $2 billion civil suit also filed by the US government on April 15th, as well as a civil action suit filed by Full Tilt Poker players to the tune of $150 million. One poker media outlet that has assigned two reporters to cover the hearing is the poker podcast QuadJacks.com, which rose to notoriety in the wake of Black Friday where they hosted their podcasts for 48 consecutive hours. While the AGCC has told QuadJacks that a live stream is out of the question, the site is expected to be on air shortly after the hearing concludes. This entry was posted on Monday, July 25th, 2011 at 4:42 pm and is filed under Poker Industry News. You can follow any responses to this entry through the RSS 2.0 feed. You can leave a response, or trackback from your own site.